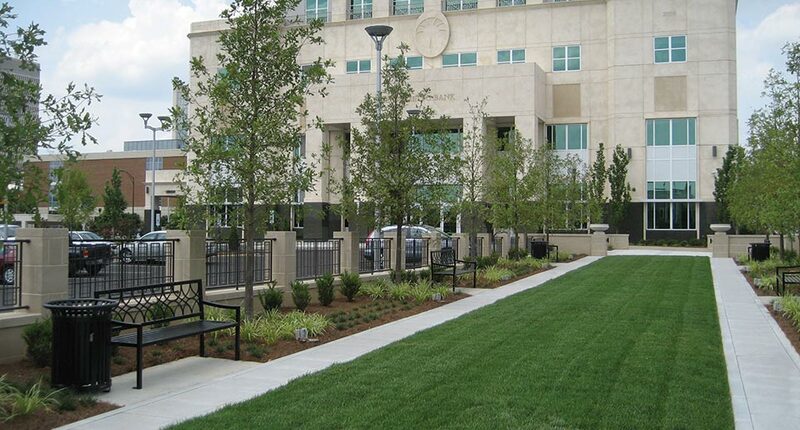 Don’t just take our word for it, let the photos of some of our past projects speak for themselves. 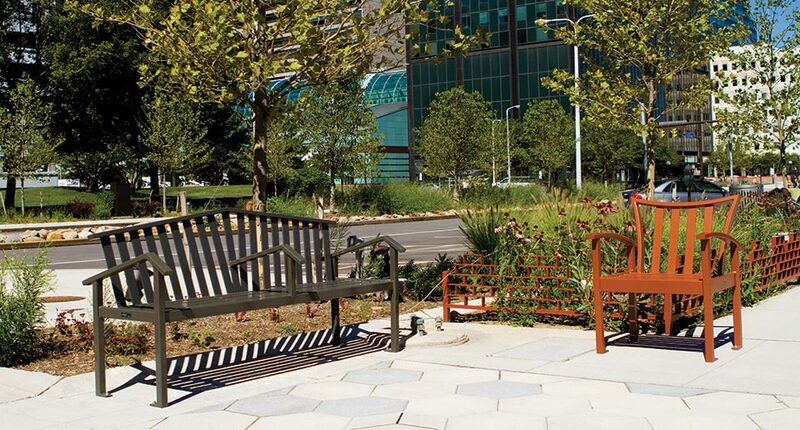 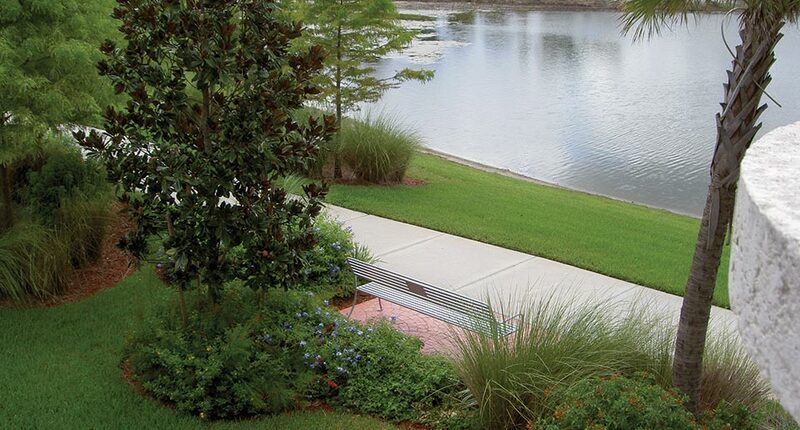 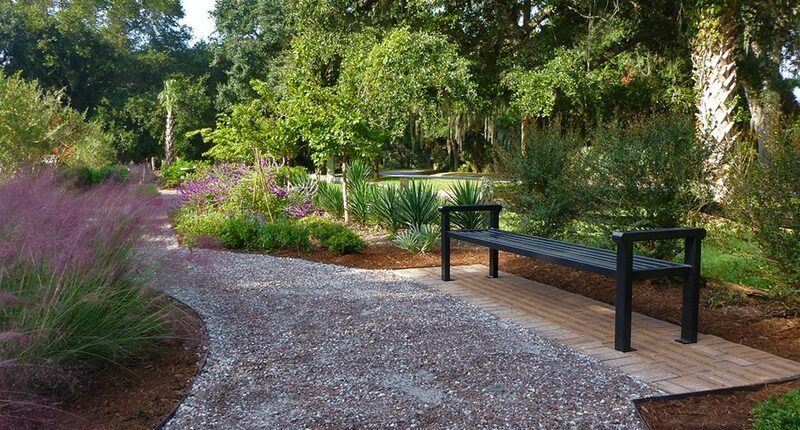 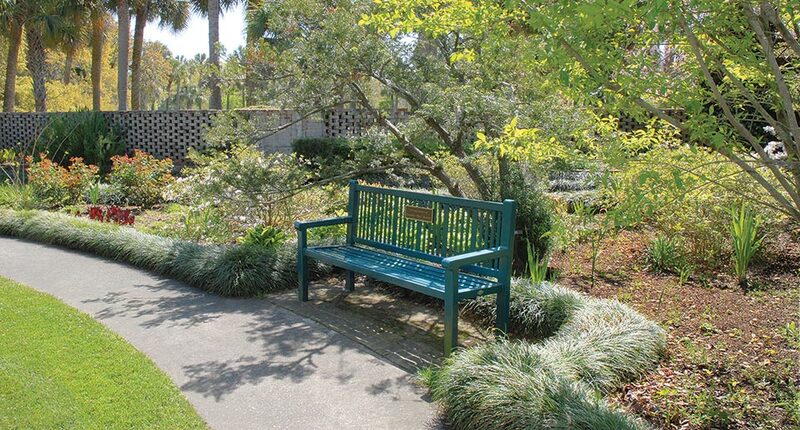 Browse our portfolio for inspiration and see examples of how our site furnishings are improving landscapes everywhere. 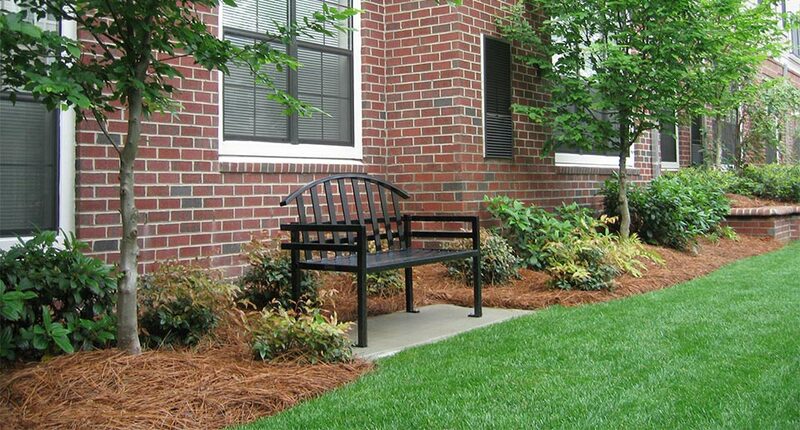 Across all industries, you will find beautiful installations and satisfied customers. 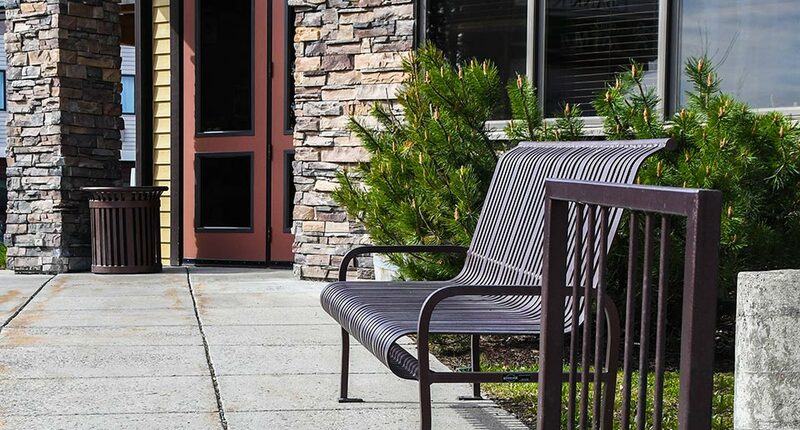 Scroll down to read real testimonials from some of our many happy clients we’ve met along the way. 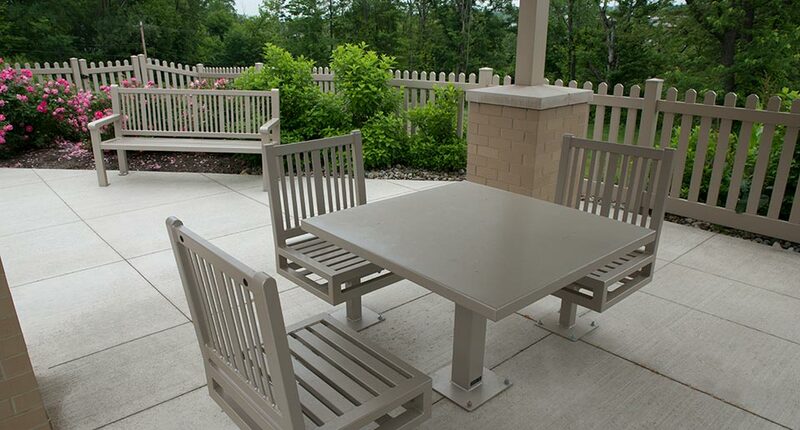 Keystone Ridge Designs offers site furniture with the durability, design and aesthetic appeal to complement retail centers nationwide. 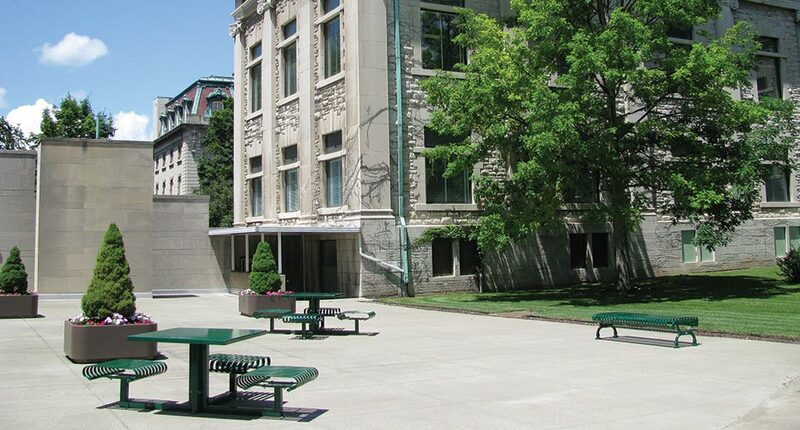 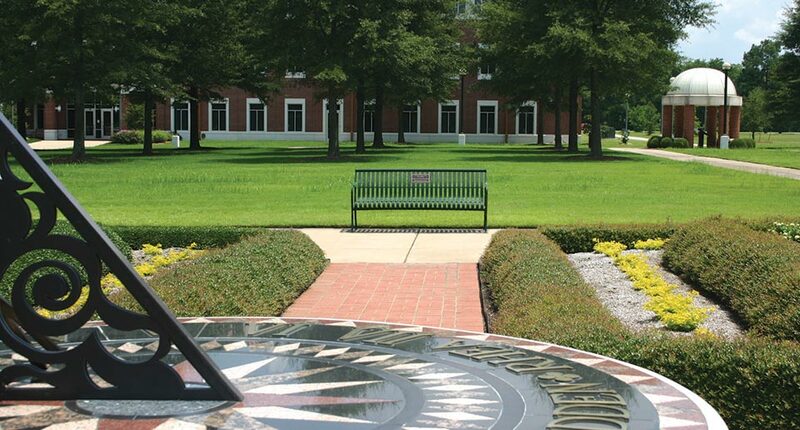 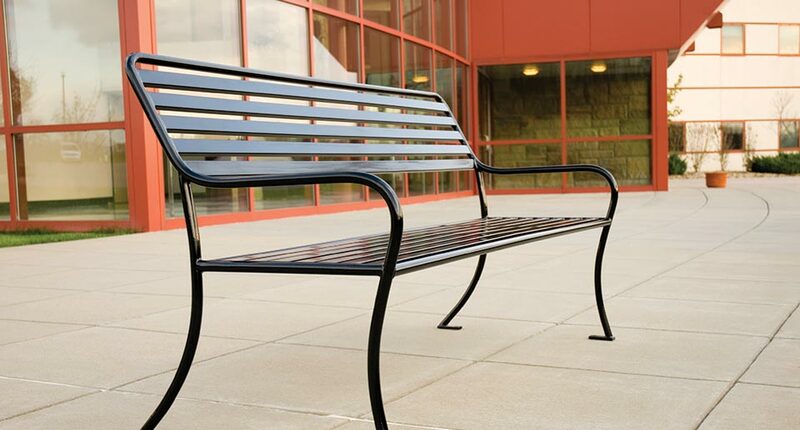 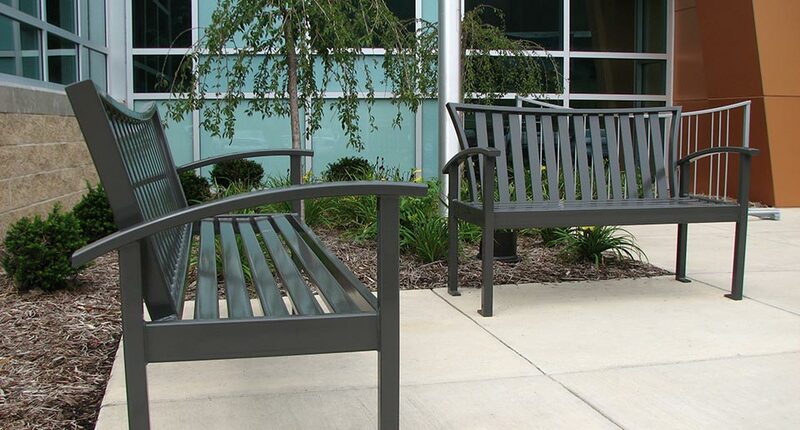 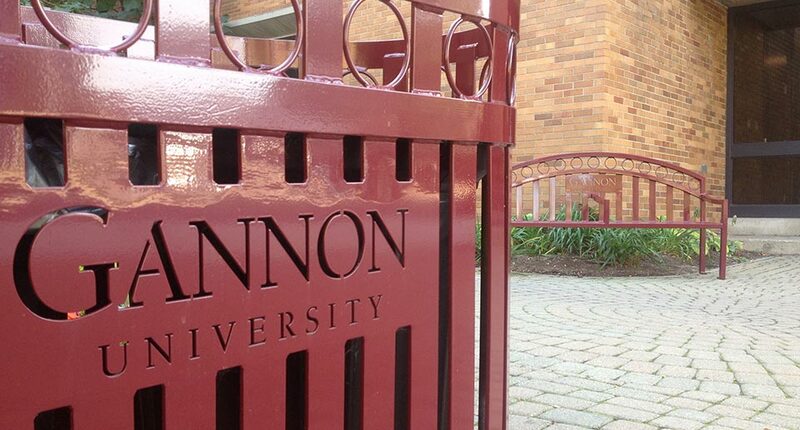 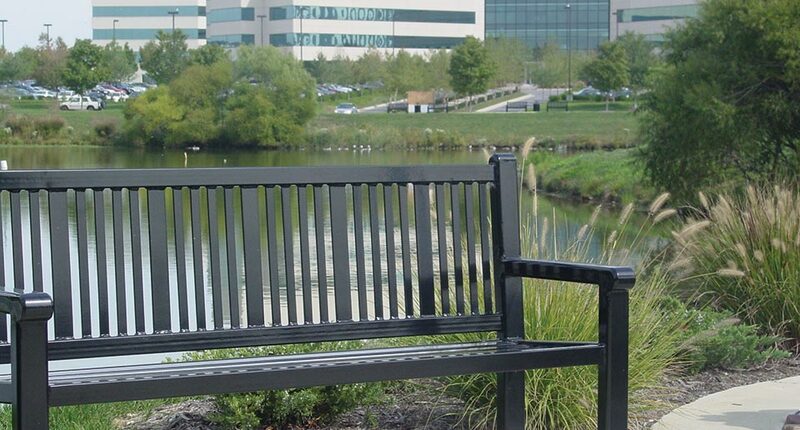 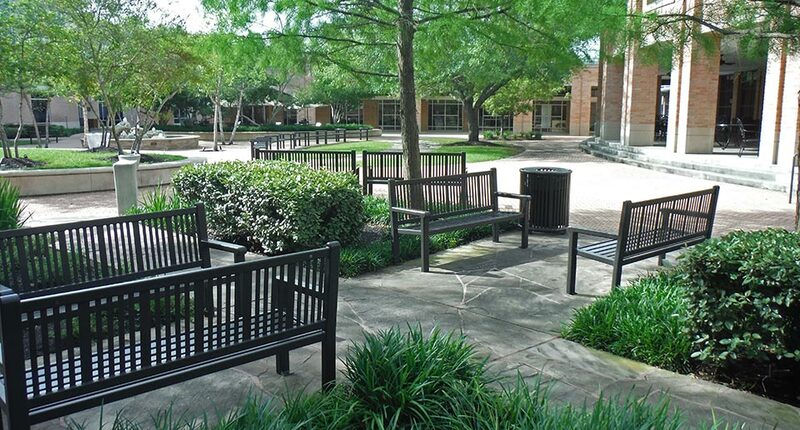 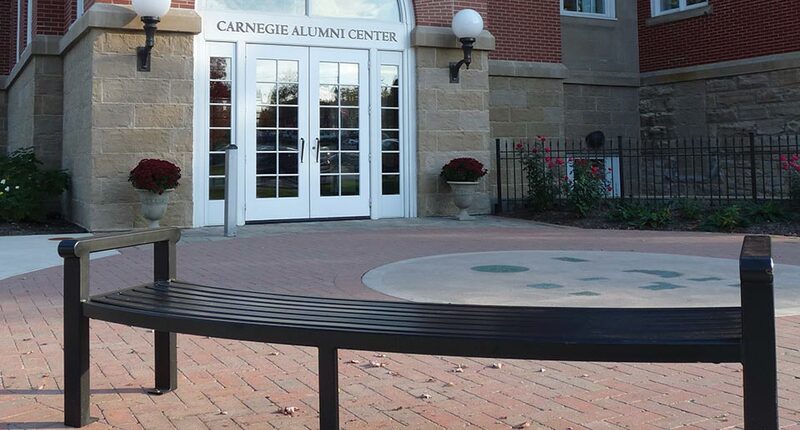 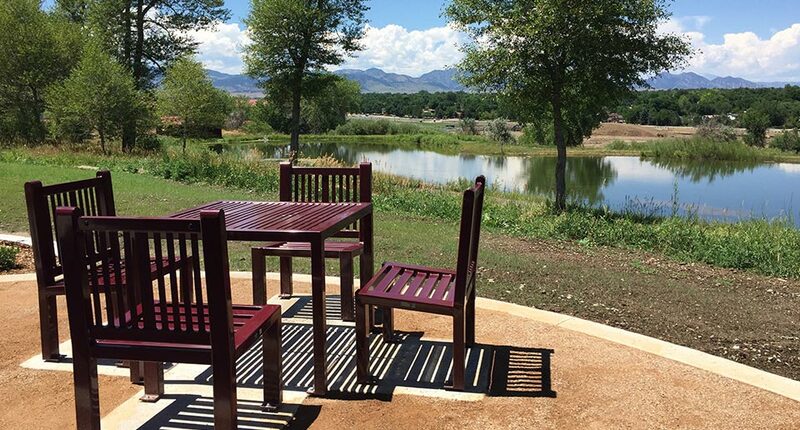 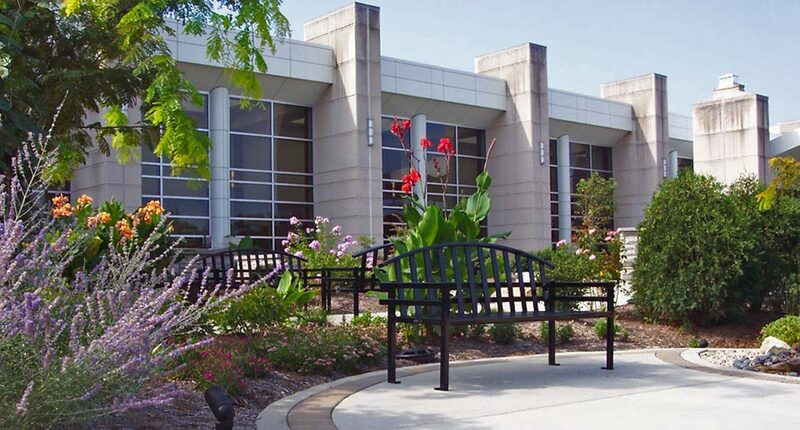 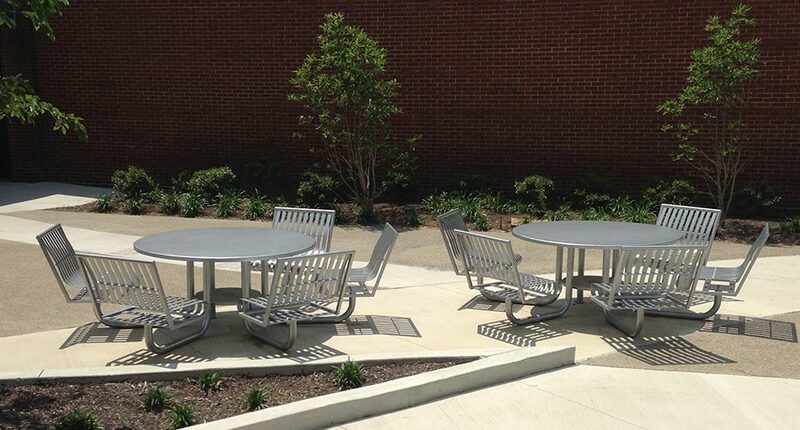 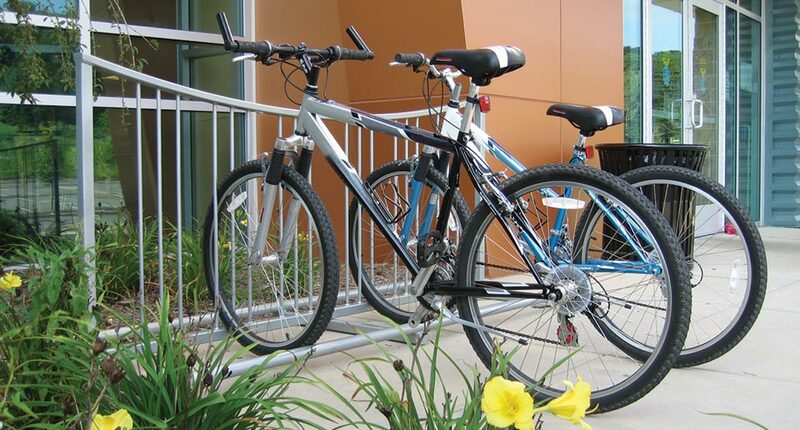 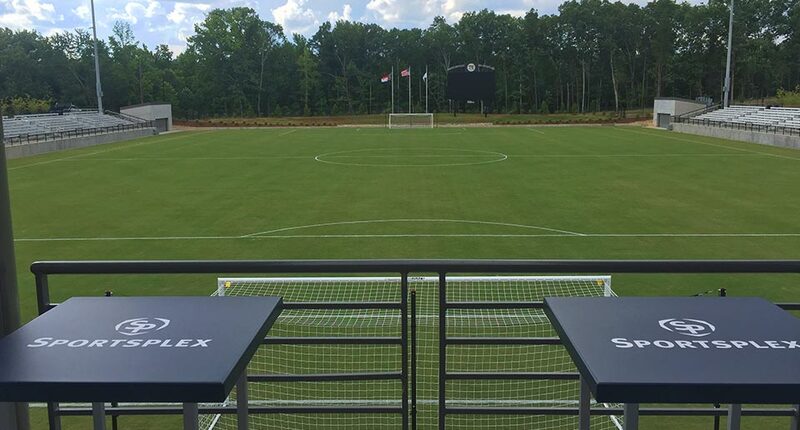 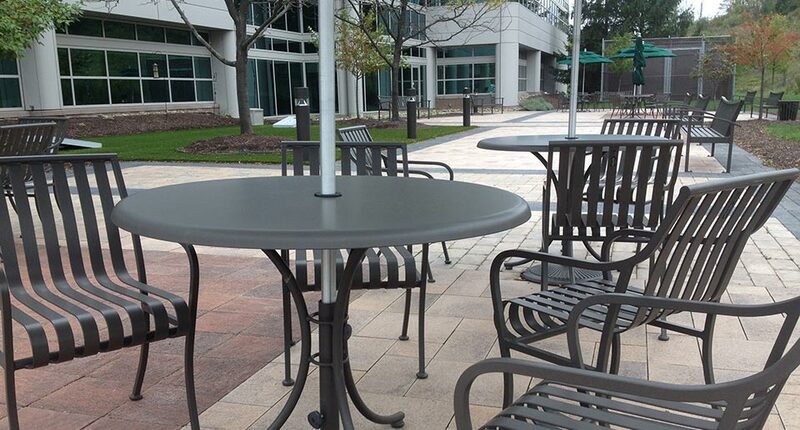 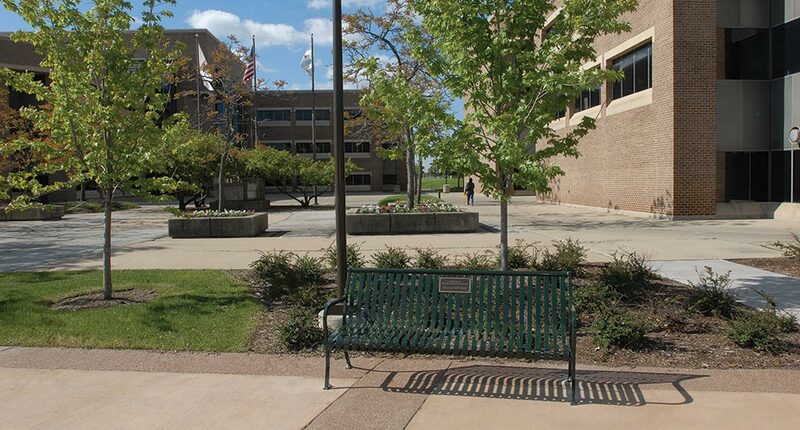 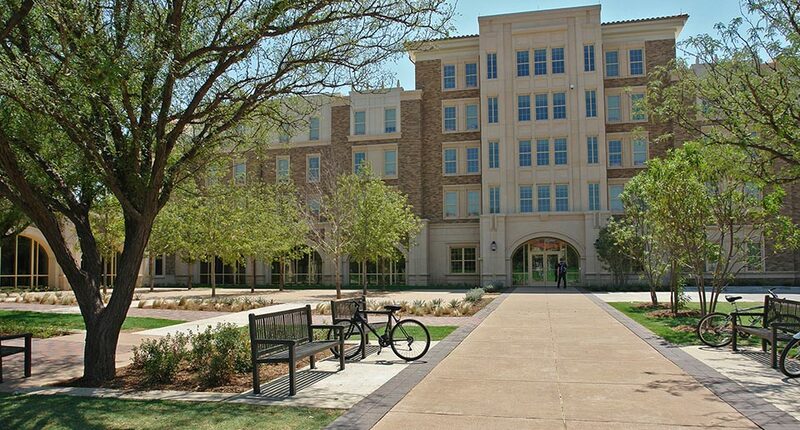 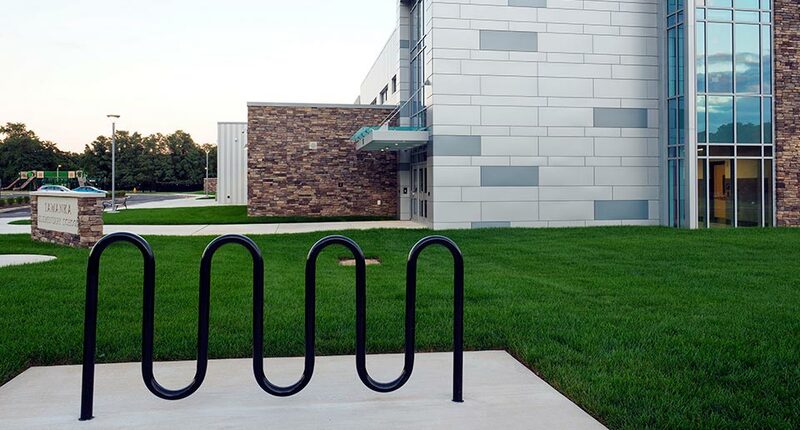 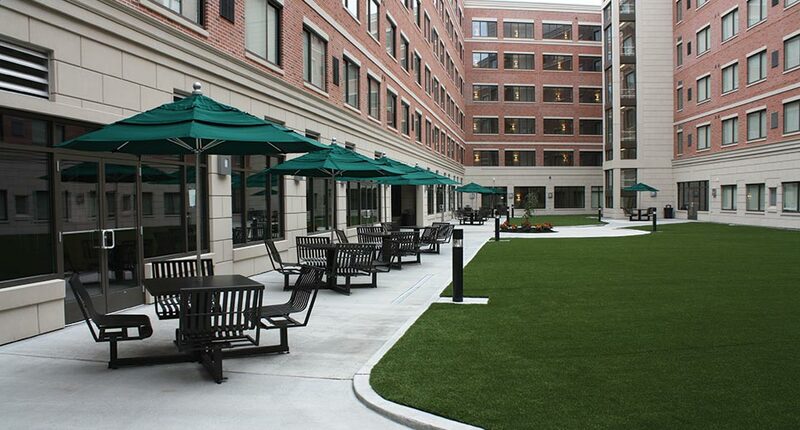 Site furnishings from Keystone Ridge Designs are frequently used as a campus standard to create consistent public spaces across colleges, universities and K-12 facilities. 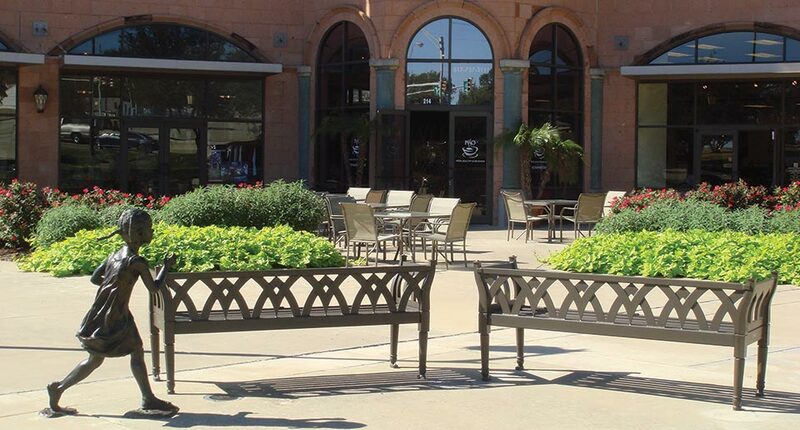 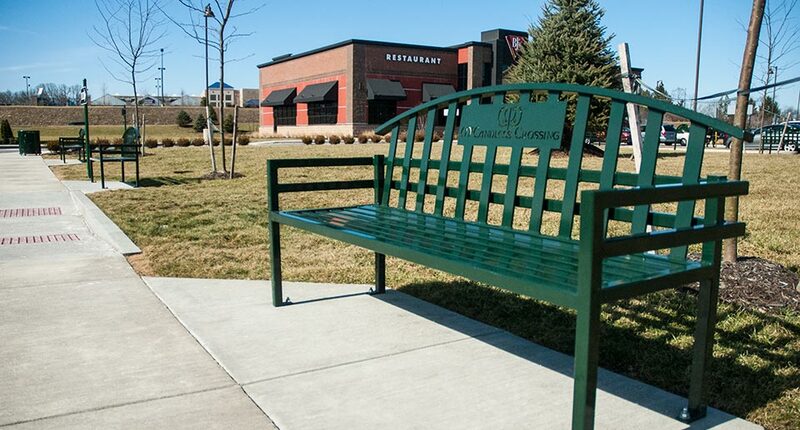 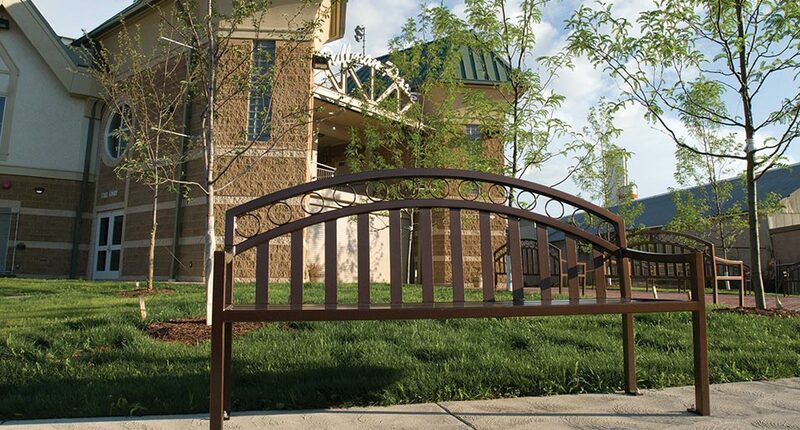 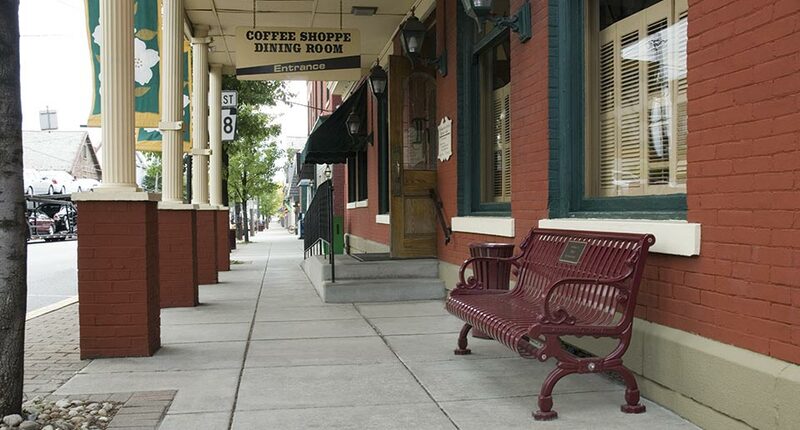 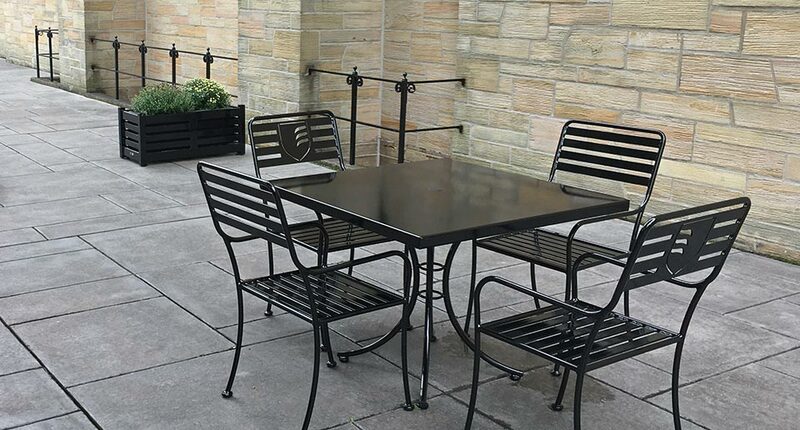 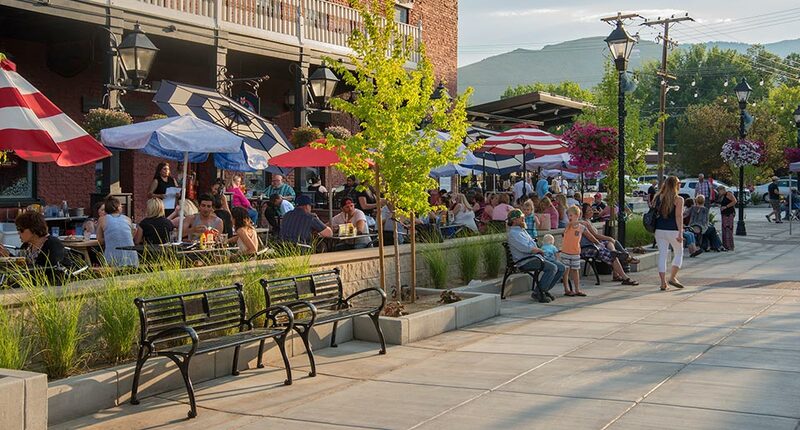 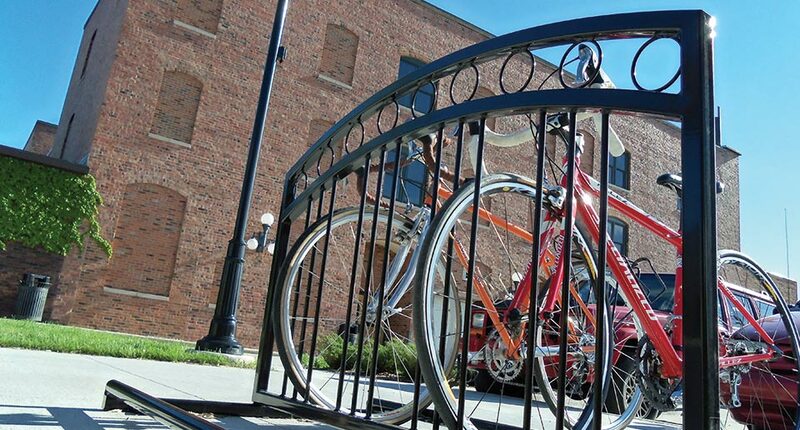 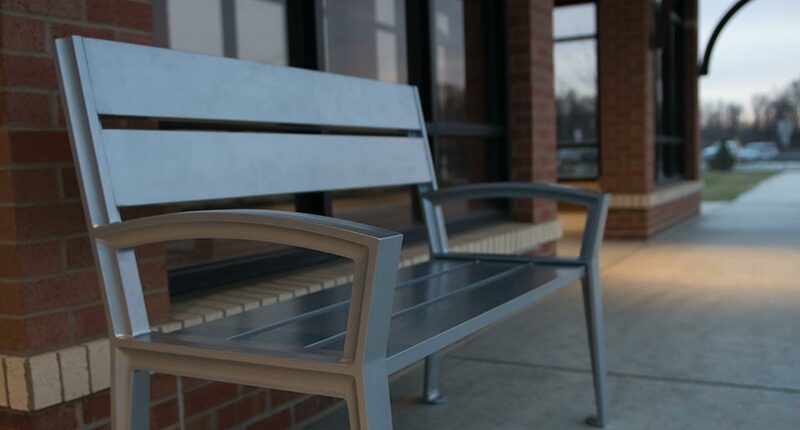 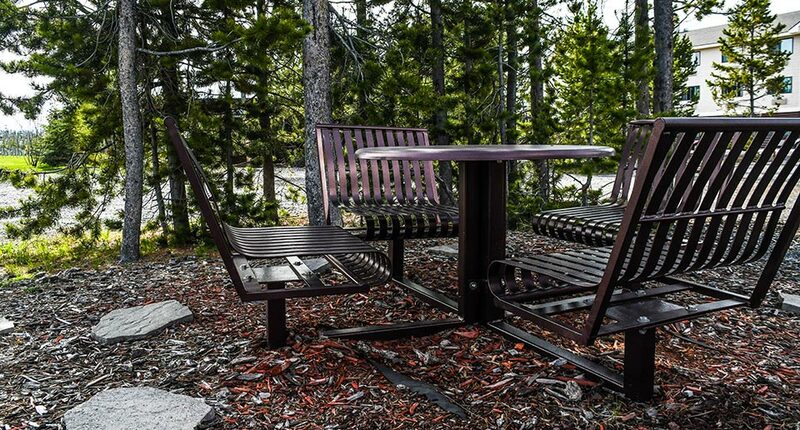 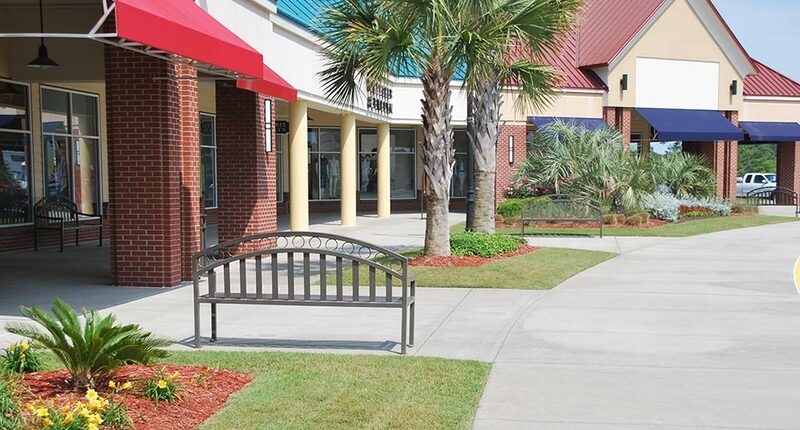 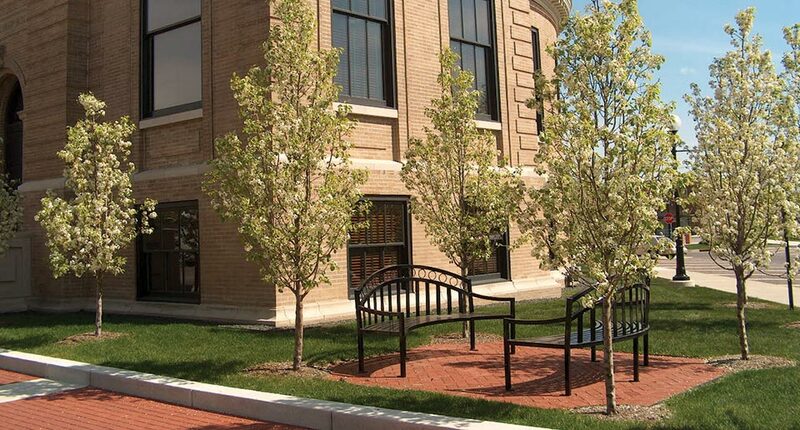 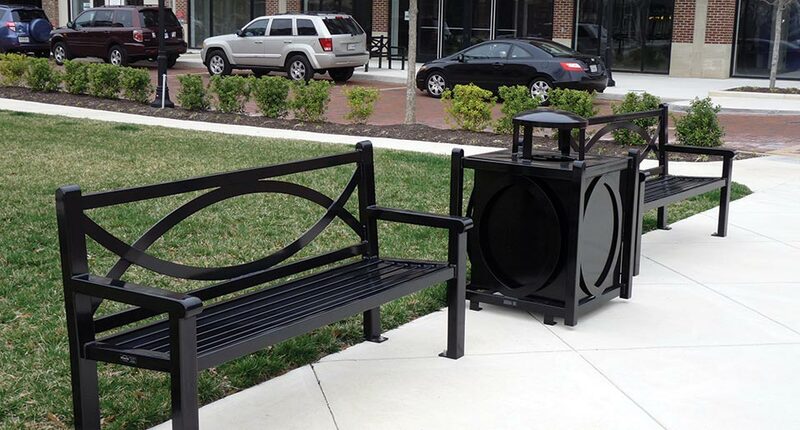 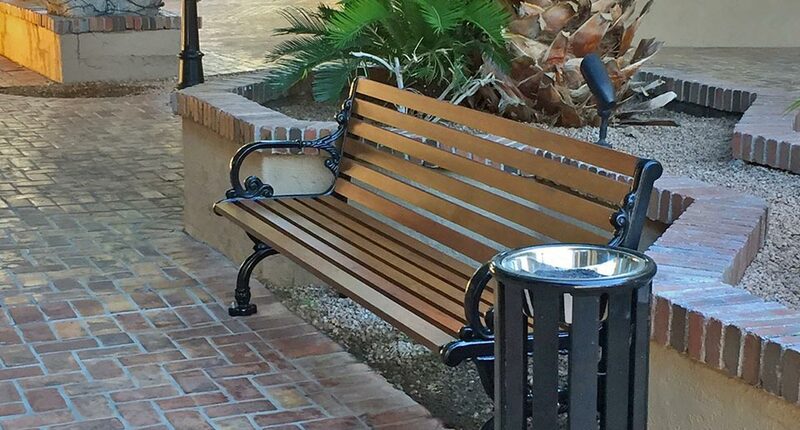 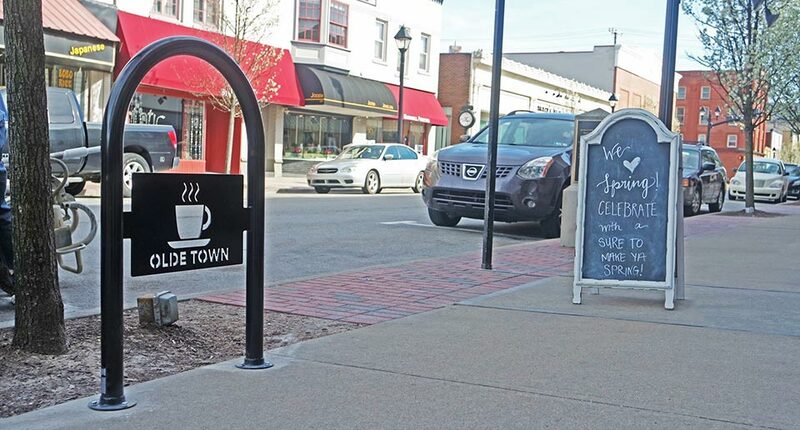 Whether in a park, plaza, public square or city streetscape, Keystone Ridge Designs site furnishings add the perfect finishing touch to downtown and main street settings. 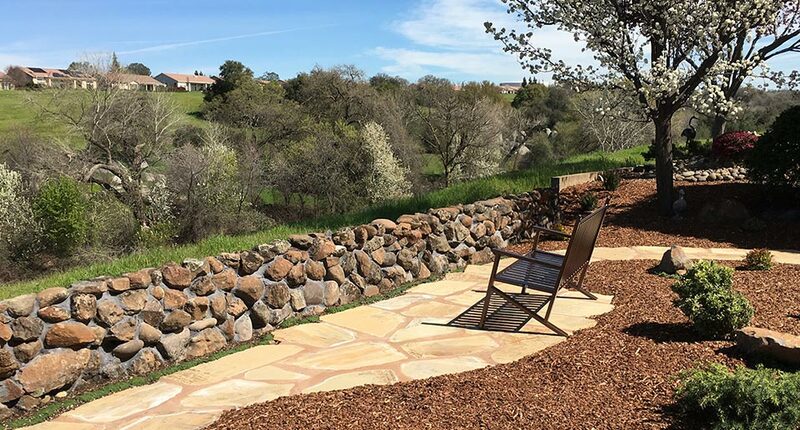 Be inspired by applications where Keystone Ridge Designs products blend in with the landscape and accentuate natural environments. 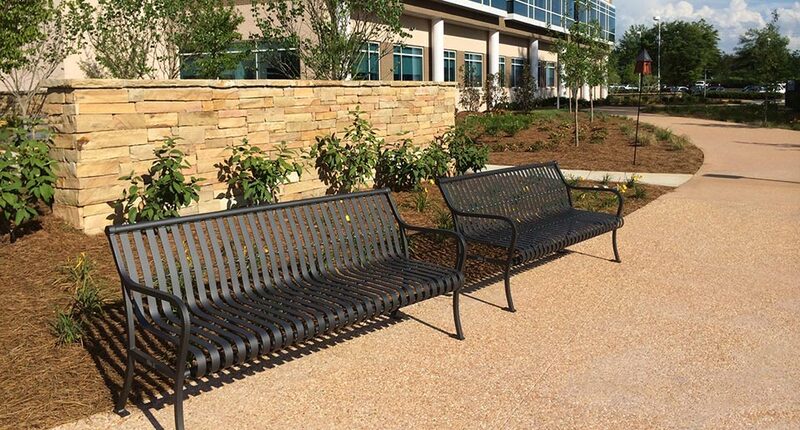 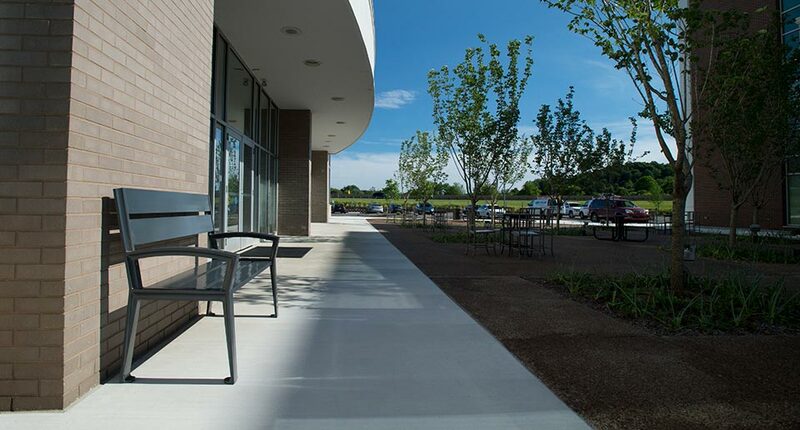 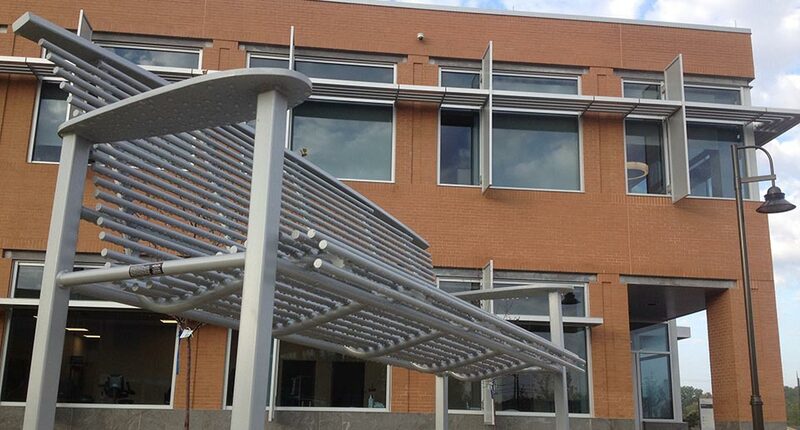 Inviting outdoor common areas are easily achieved with Keystone Ridge Designs' modern options for corporate landscapes. 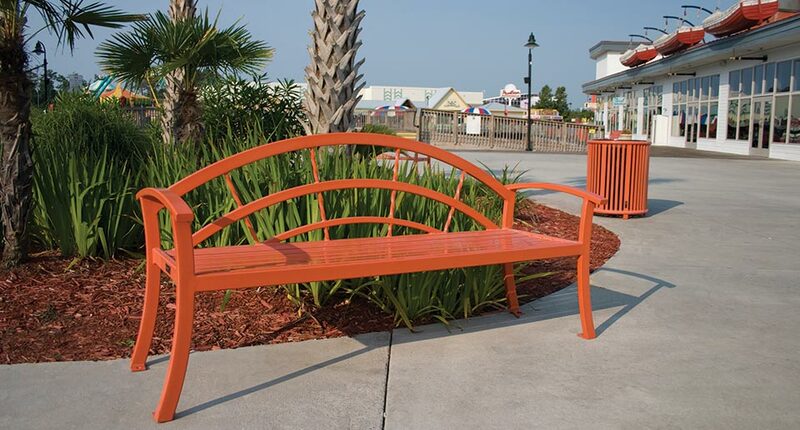 Simple modifications and product alterations such as custom curves, lengths, colors, materials and additional arms are an easy way to maximize functionality and design. 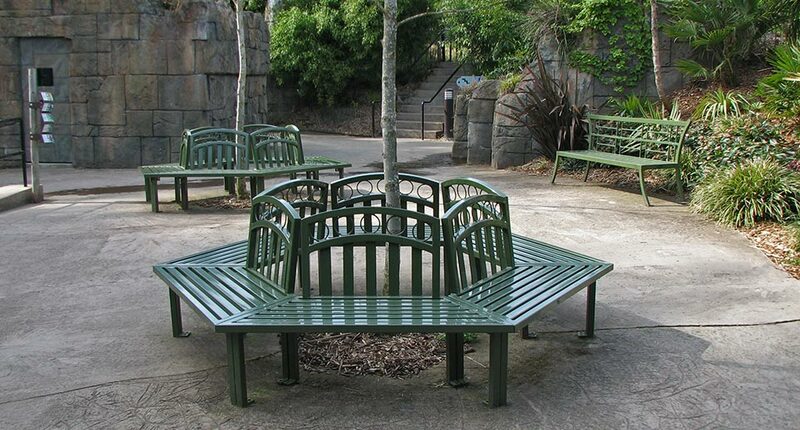 Variations of Reading series seating solutions are shown. 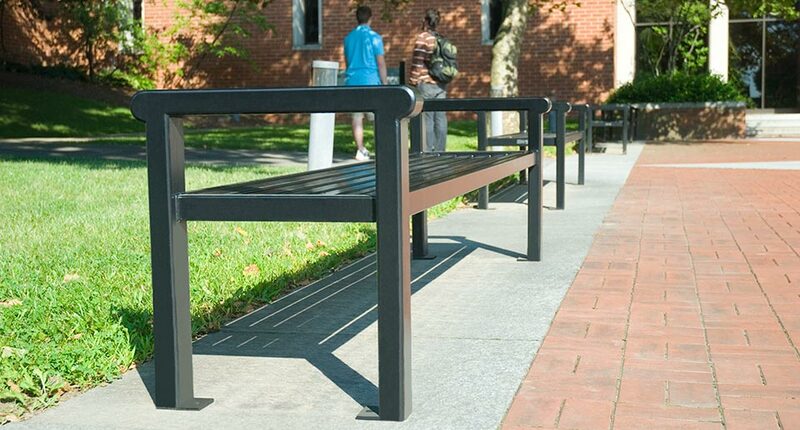 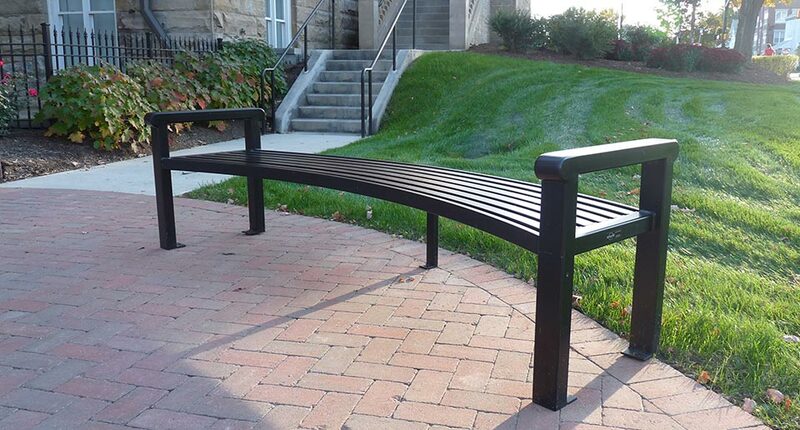 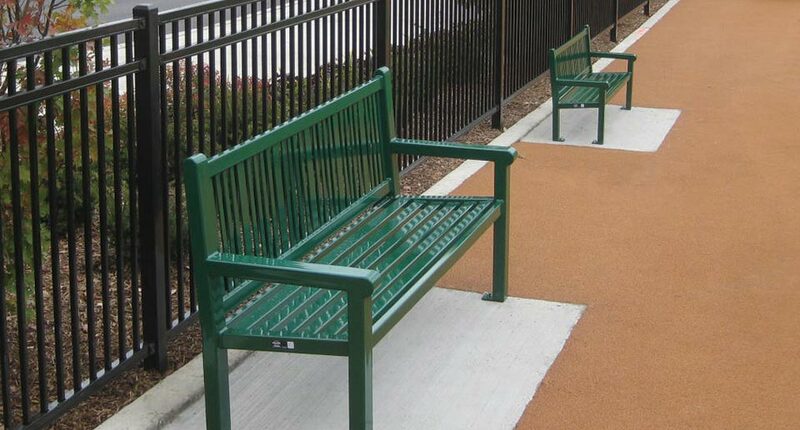 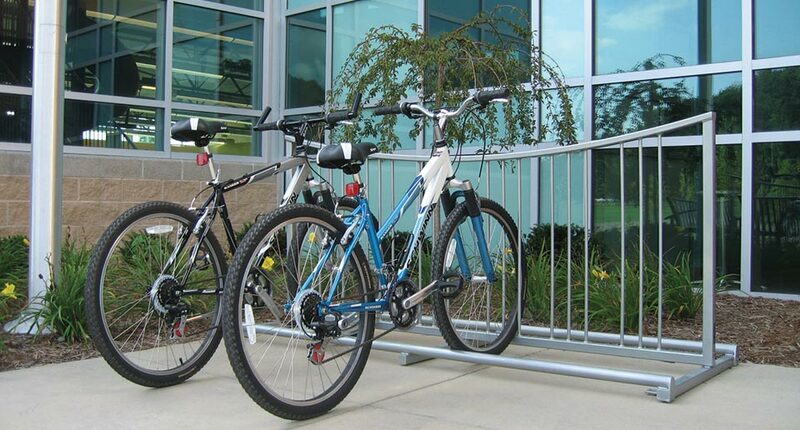 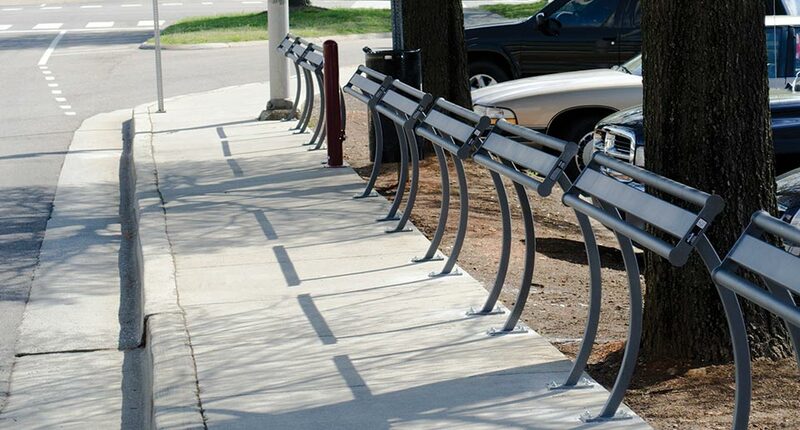 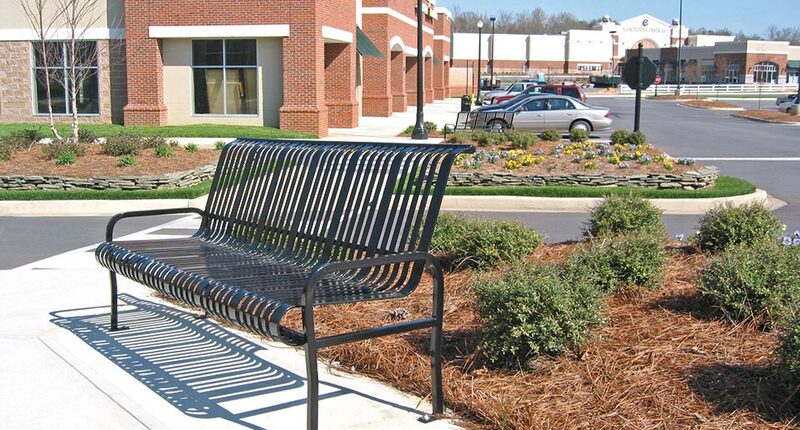 "We've used Keystone as our sole provider of street furniture over the past five years. 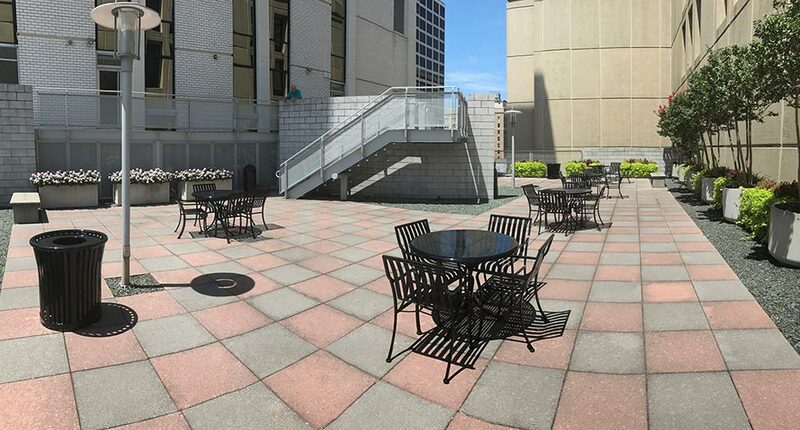 For a downtown working hard to revitalize itself, we have found the quality, visual appeal, functionality, and lifetime guarantee of these products to be simply unmatched in the state of Pennsylvania." 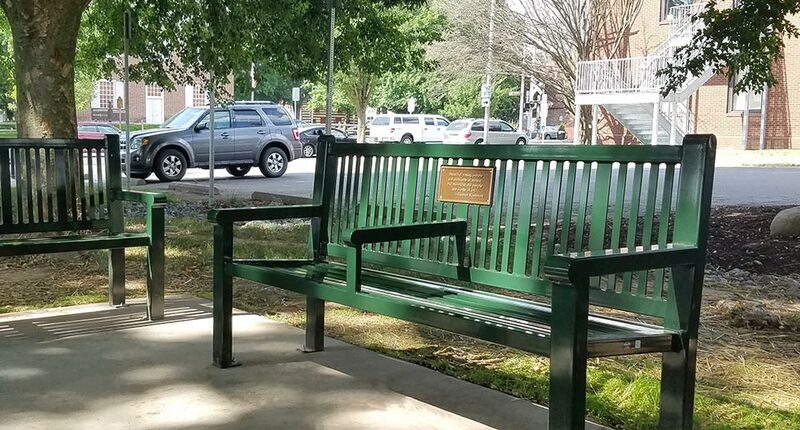 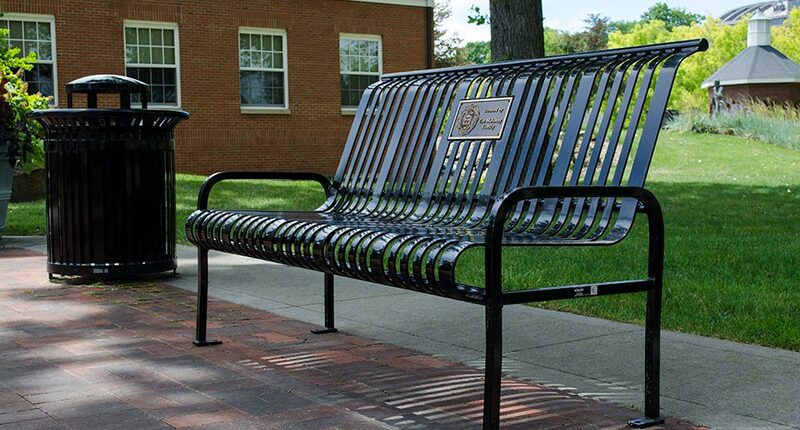 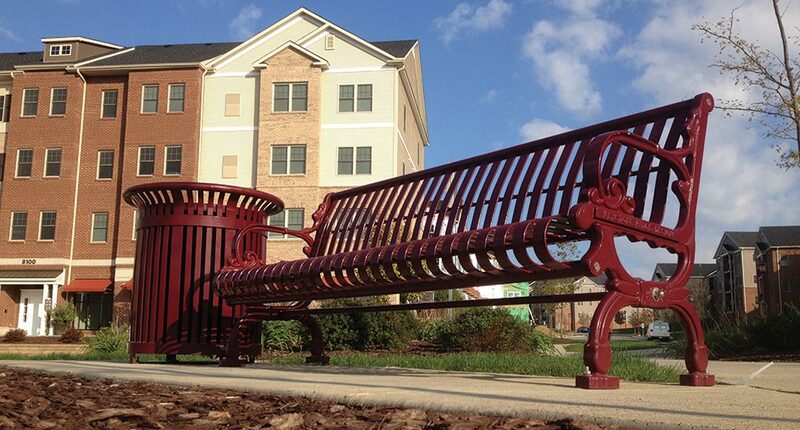 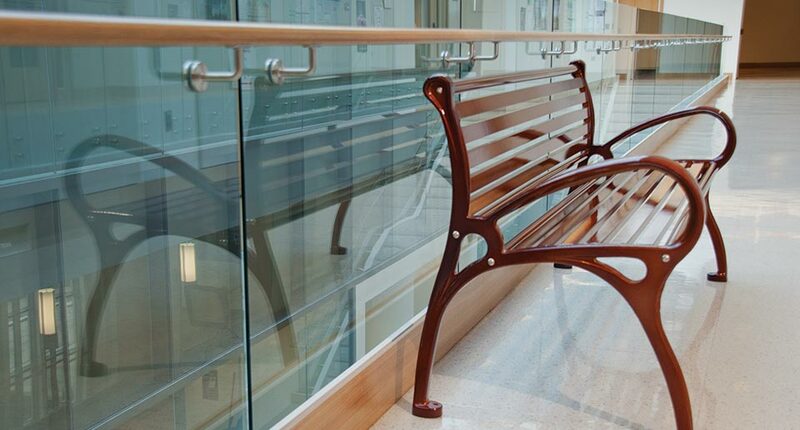 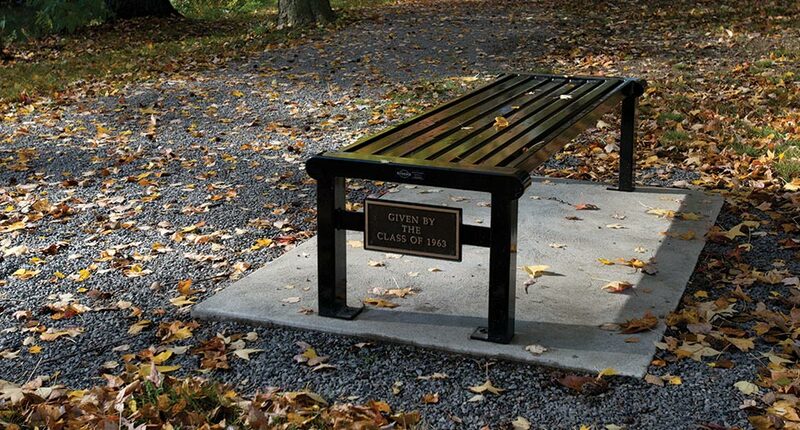 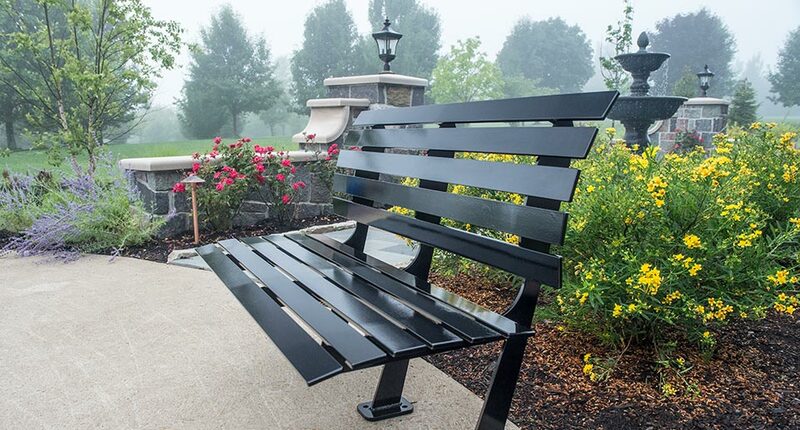 "Your benches may cost a little more, but I believe in time no one will remember or care how much they cost, but their high quality will be apparent every day for years to come. 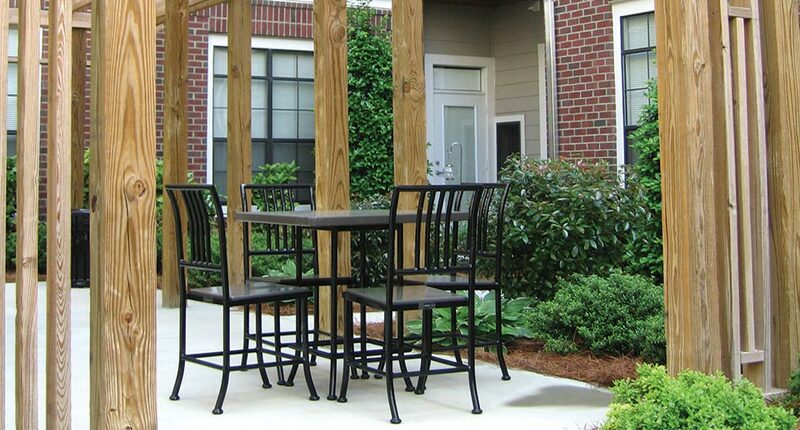 We are a satisfied customer." 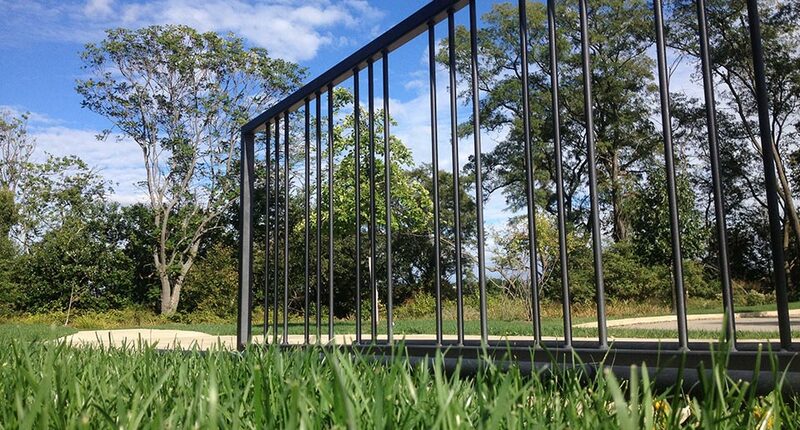 "By the way of product satisfaction...this summer we had a man driving down the trail with a boom-arm mower that forgot he had a mower attached to the side of the tractor. 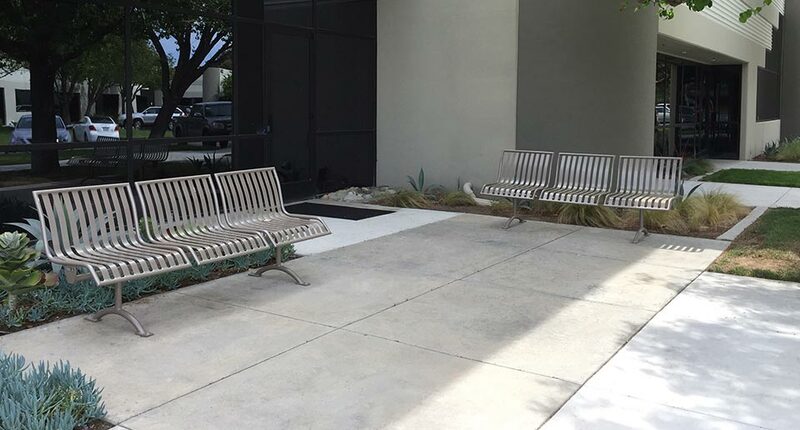 Unfortunately, he hit one of the benches - hard enough to move the entire bench and concrete slab and damage the mower to the tune of $1500. 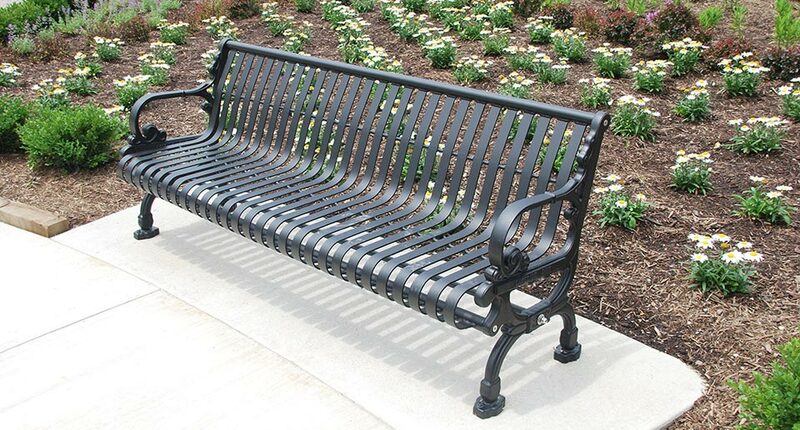 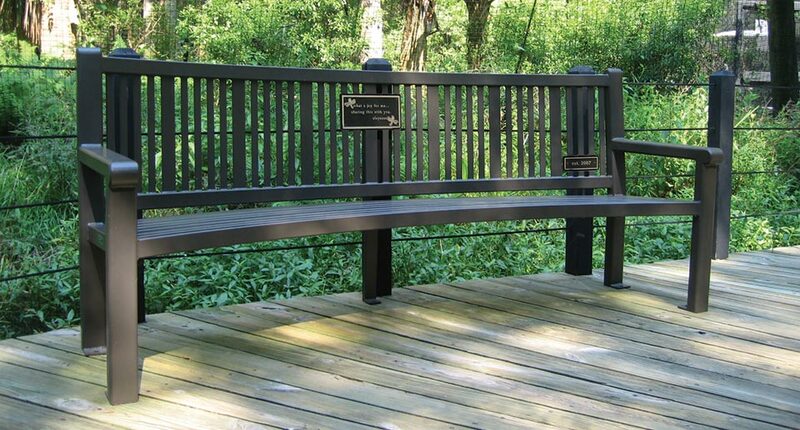 Yet, the only damage to the bench was a minor scratch which required only a few drops of paint." 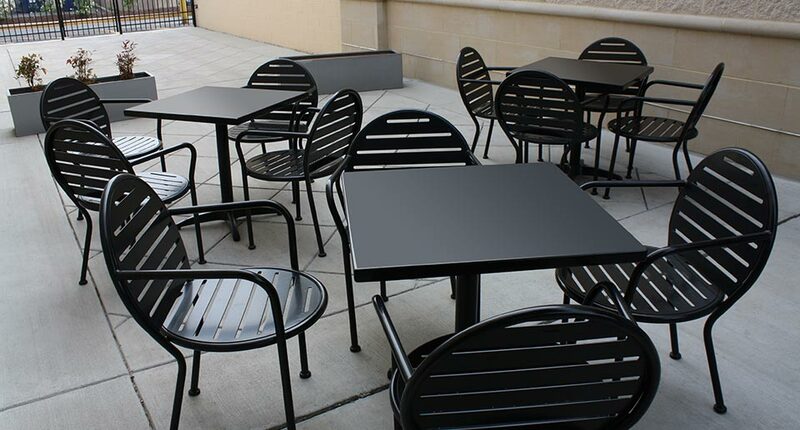 "Your furniture is a bit higher than some of your competitors, but it’s well worth the extra money invested. 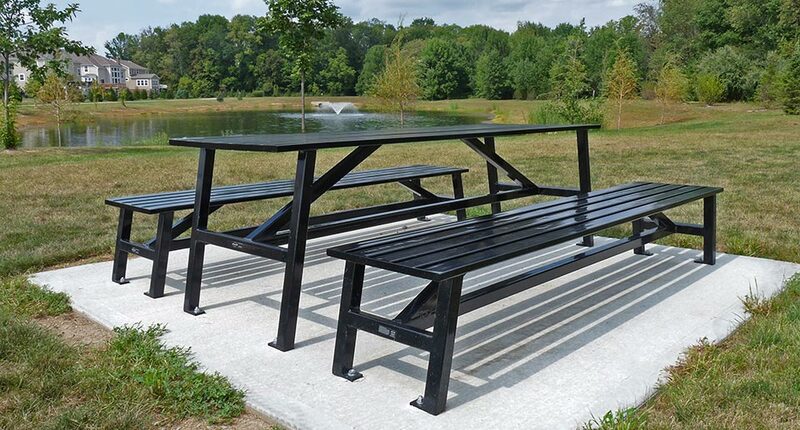 Your durability and long life more than make up any difference in cost. 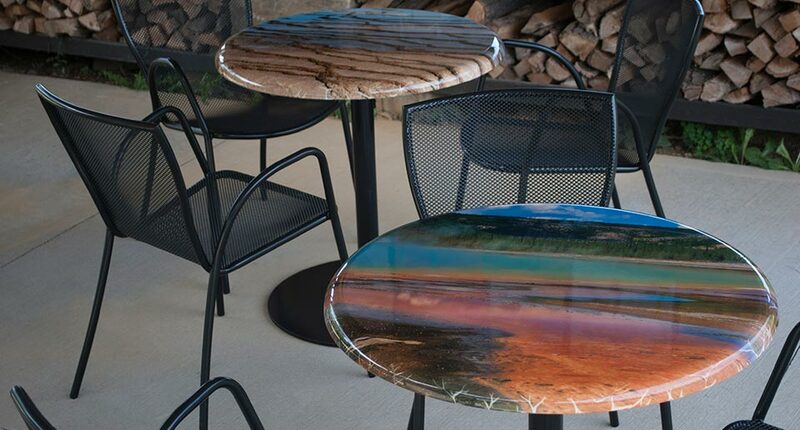 While many seek the cheapest option, I for one will support using your materials." 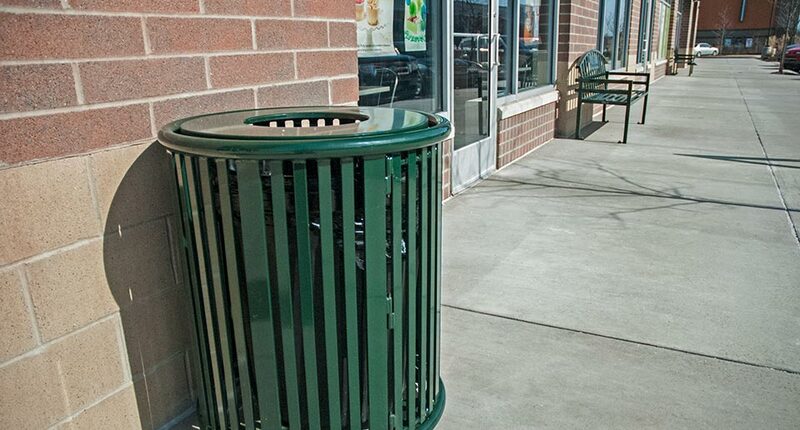 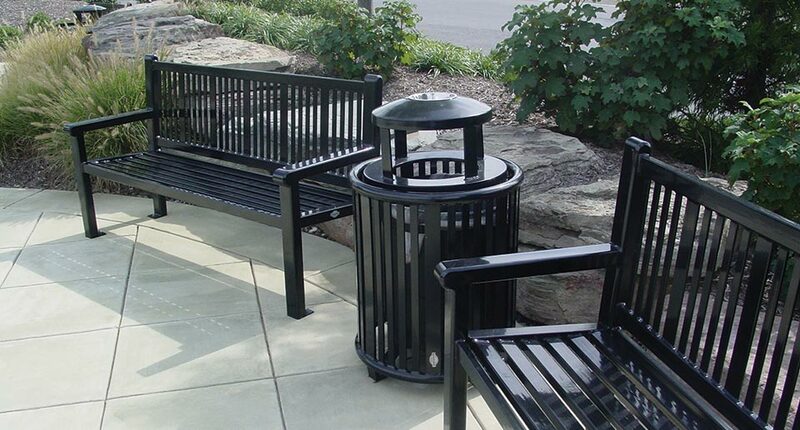 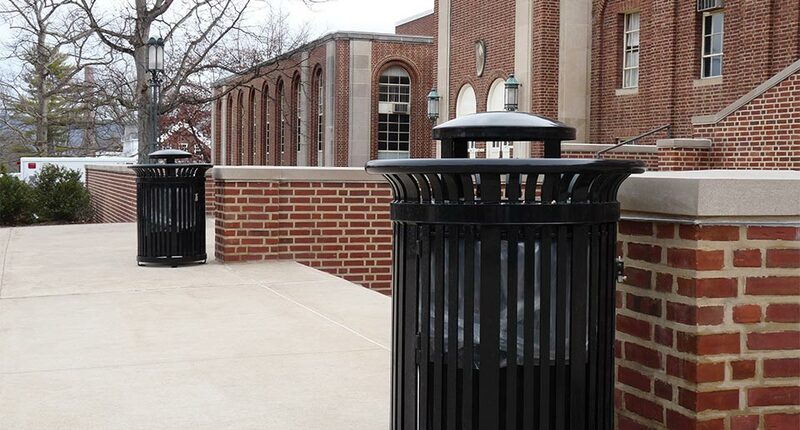 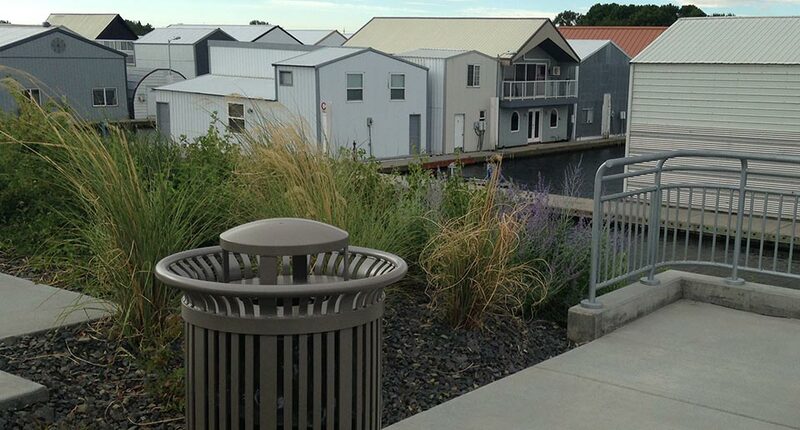 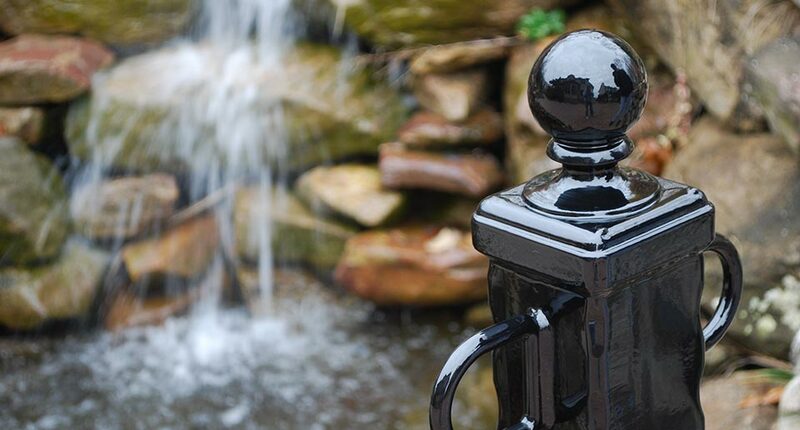 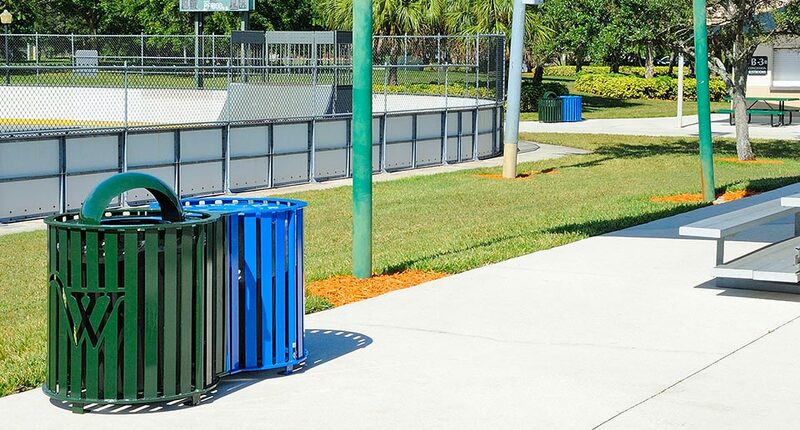 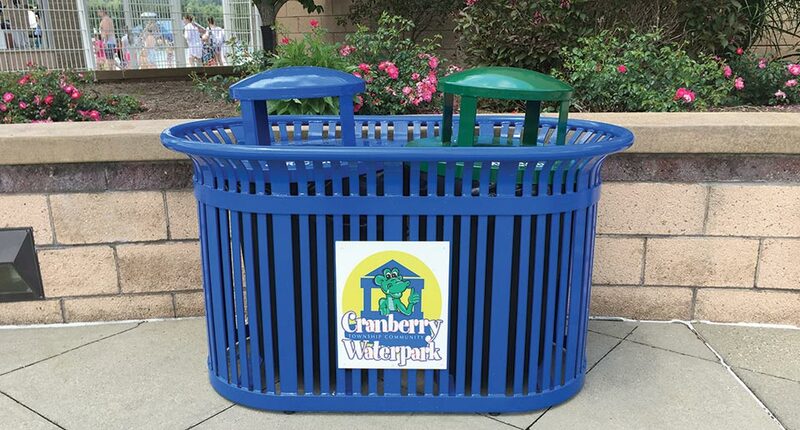 "Keystone Ridge Designs has been our go-to source for litter receptacles. 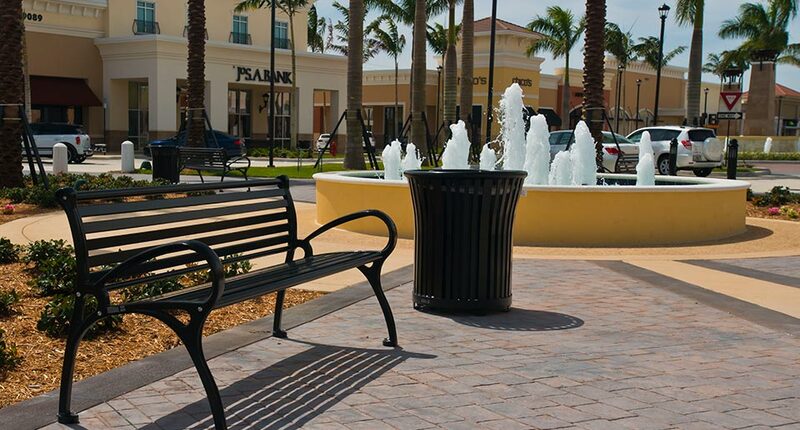 They continue to offer the quality and durability we need to maintain our streets. 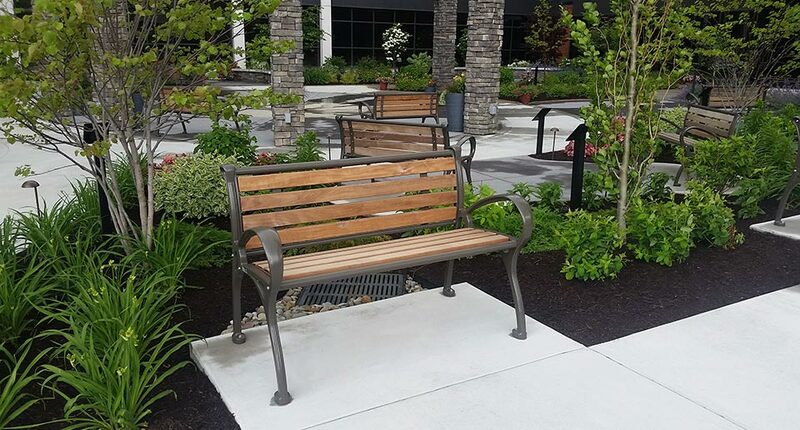 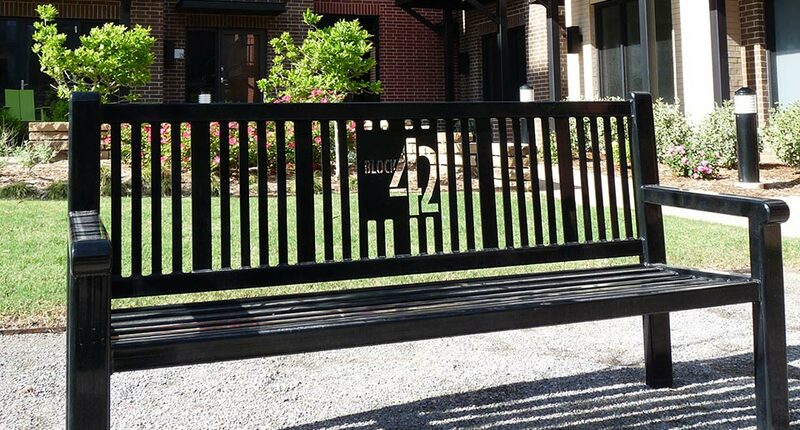 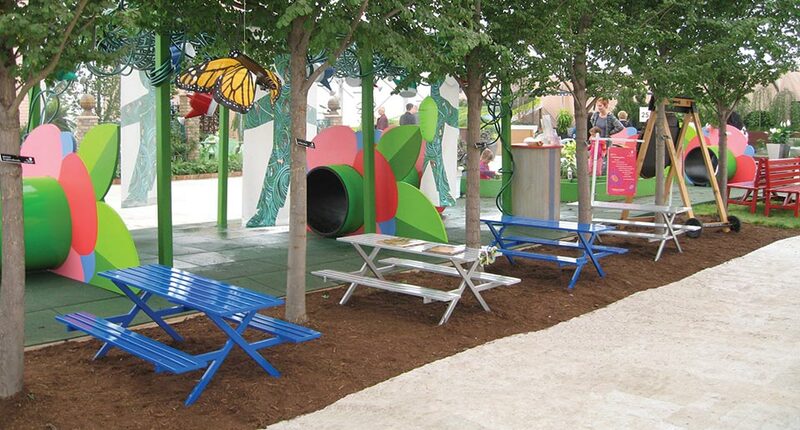 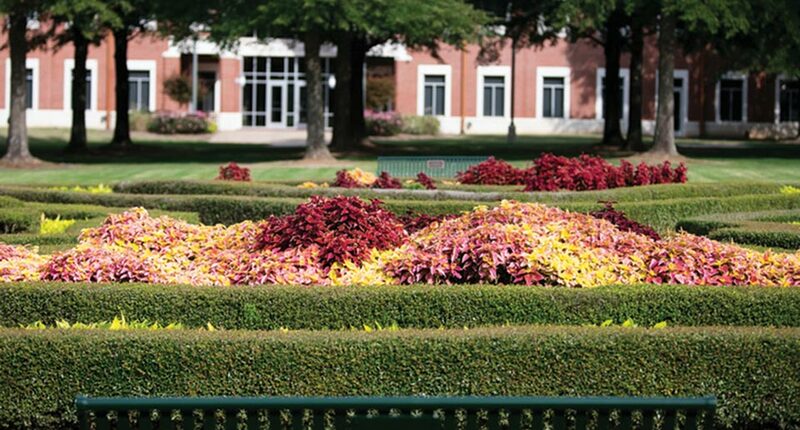 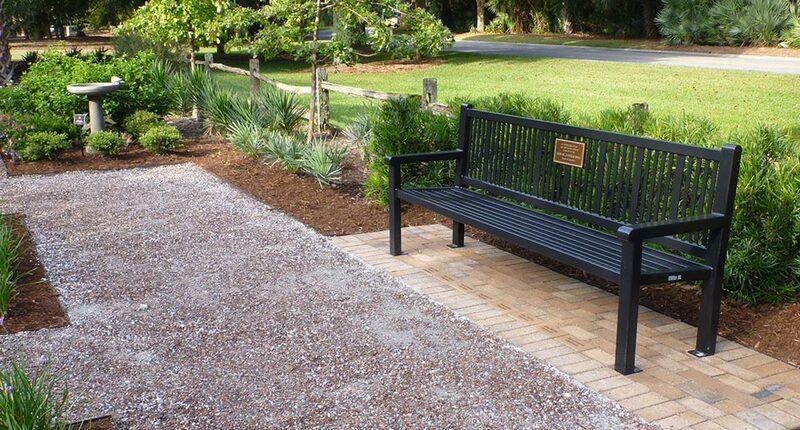 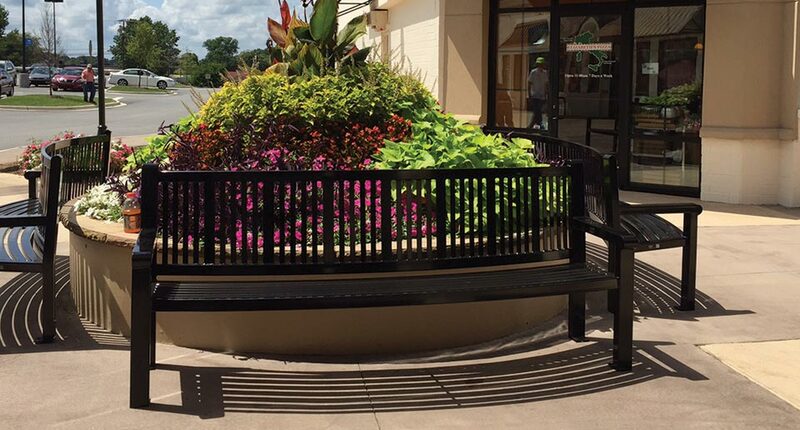 I would recommend their site furnishings and their attentive customer service to anyone looking to revitalize their parks or streetscapes with beautiful site furnishings."